A relatively recent phenomenon in motorsport are the big historic festivals. In the UK, Goodwood; with the Festival of Speed and the Revival meeting, Silverstone Classic, and a host more besides, draw big crowds with a mix of on-track action and a festival atmosphere in the paddock and around the circuit grounds. The major European events have been building in popularity too: Spa-Francorchamps has the Spa Six Hours and Spa Classic events, Nürburgring’s Old-timer Grand Prix, Angouleme’s Circuit des Remparts and many more. The biggest, and arguably one of the very, very best is the Le Mans Classic – held every two years, this is the only event, aside from the Le Mans 24 Hours itself, that is permitted to use the full 24 Hours race circuit, with local roads closed to allow round the clock action. 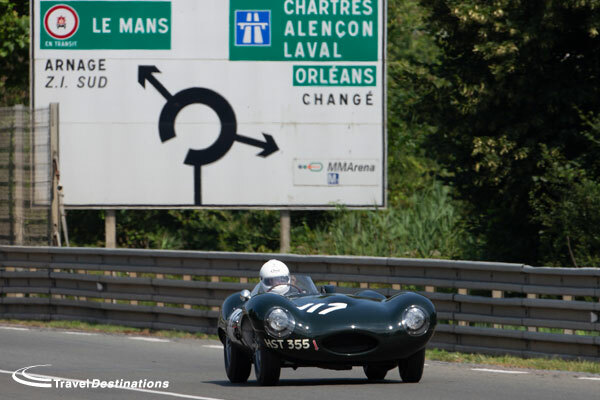 I was invited with my colleague Dave Lord, to attend the Le Mans Classic 2018 event as the guests of Travel Destinations, to take a look at what, for both of us, was a very different event in very familiar surroundings! 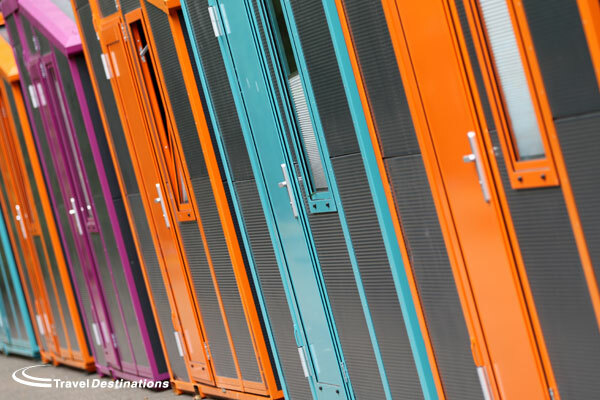 We were accommodated in the Travel Destinations Flexotel Village – and whilst the container-like accommodation is perhaps not the most aesthetically pleasing, it proved to have massive advantages over the more traditional camping option. With comfortable overnight accommodation for two, plenty of storage space and a secure lock on the door it was an ideal operating base for the extended weekend. Very high temperatures over the full Le Mans Classic meeting might have left some sweltering – indeed our friends on the campsites reported that their tented accommodations were challenging in the conditions – but the tree-lined Flexotel Village wasn’t too bad, and our room was great when we installed a fan! Make no mistake these were extreme conditions – 30-34 degrees across the whole weekend! Our bathroom accommodation was in the central toilet and shower block – showers with perfect temperatures, kept spotlessly clean throughout the weekend- although for those after more privacy, a little more outlay saw some customers choose upgraded Flexotel rooms with their own bijou bathroom facilities! As the Le Mans Classic came alive on Friday, then the Flexotel Village filled up nicely, and the ambience became immediately apparent – very relaxed and very friendly – individuals, couples and groups of friends either chatting quietly outside their rooms with a glass of red wine or a beer, or clustering around the central marquee where food and drink was available late into the evening – together with a big screen TV – pretty much essential during the latter stages of a World Cup! There were, I am very pleased to report, no rowdy groups, no fireworks – just people enjoying their, and each other’s company, and it was never, ever, crowded – a host of ordinary cars (ours! ), sporty, exotic and classic cars parked alongside the rooms – Everything from an MGA, via a Jensen Interceptor and on to Lamborghinis, Ferraris and a beautiful Jaguar D-Type Replica – Just perfect! 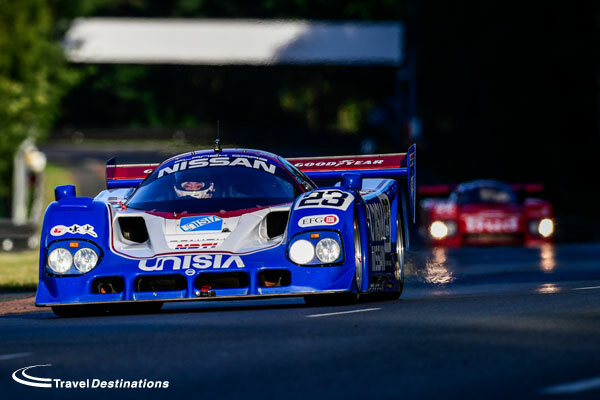 As for the Le Mans Classic event itself – Wow! 700 cars from 1923 to the present day, competing and displayed on track with some 1000 drivers – including some VERY big names. Competition continued through the night with the six main – age-defined groups of cars having 3 x 45 minutes races – with the addition of races for the iconic Group C cars (simply glorious! ), Jaguar and Porsche period one-make encounters, plus a pair of very well attended demonstration runs for the “Global Endurance Legends”, for cars from the 90s and noughties – with a short season of races for these splendid machines coming in 2019! The ‘Le Mans Classic Village area’ was packed throughout with eateries, bars and exhibitions, a fine selection of stalls selling books, models, vintage bits and bobs and much more besides doing a roaring trade – I stumbled (thankfully not quite literally) across Derek Bell signing copies of his latest book at one stall. And then there’s the ‘set dressing’ and the other main Le Mans Classic attraction – Thousands of classic cars in the club displays on the infield and around the shorter ‘Bugatti’ circuit – all friendly and welcoming, all with a common spirit to revel in petrolhead heaven. Love Renault Alpines? There were simply dozens, Porsches? Hundreds – Something more obscure? Believe me it as likely in there somewhere! Best of all if you regularly attend the big UK, or US historic festivals, there was plenty here that you likely haven’t seen before. Around and between all of this the Le Mans Classic VIP shuttles were all Citroen 2CV or the Mehari derivative; the competing drivers shuttled around in a bewildering variety of VW ‘buses’ – and the public shuttle buses to take fans out to the more far flung viewing spots were ‘period’ too! Competing cars were escorted through the event either by Gendarmes in period uniforms on historic police motorbikes (with the ever-present whistle!) or by actors dressed 1940s US Military police on rumbling Indians and Harleys complete with the wailing siren – Evocative stuff. Better still if the scale of the event, or just the heat, got the better of us, it was a short walk back to the Travel Destinations Flexotel Village, where, even in the thick of on-track action, there was an oasis of calm – the cars could be heard – but you could hear yourself think, grab a drink or have a nap – the Flexotel’s sound insulation proving ideal for the task. 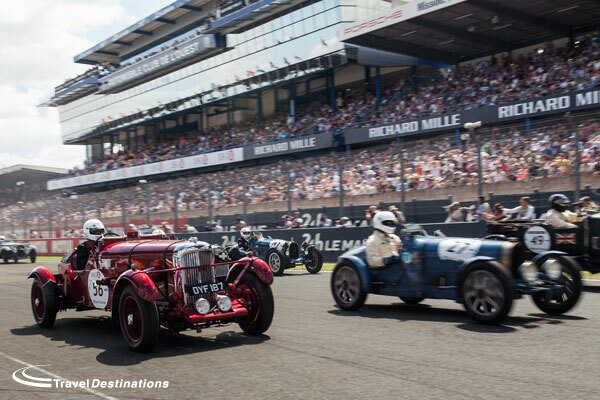 If you love the historic scene then the Le Mans Classic is a simply unmissable event – We’ll be coming up with excuses for another invitation – You should pencil it into your 2020 calendar too- and then get on the phone to Travel Destinations to reserve your place! The dust has just started to settle on what was a memorable Le Mans 24 Hours. Not only was the story of the race almost unbelievable at times, but the weather was hotter than most of us can remember. Just as soon as Porsche & Aston Martin were finished popping their champagne corks, we started thing about Le Mans 2018. Travel Destinations are now open for bookings for all of our race options for the Le Mans 24 Hours 2018. Le Mans 2018 may be just under a year away, but now is the time to start planning to be track-side. All options are currently available to reserve with a small deposit, so please call us now on 0844 873 0203 to reserve your space. All our prices included travel from the UK, entrance tickets and your chosen accommodation option. International visitors are more than welcome, and prices are available without channel crossings where required. All of our private secure options at the circuit were sold out for this year’s Le Mans 24 Hours, so it is important to book early & avoid disappointment. 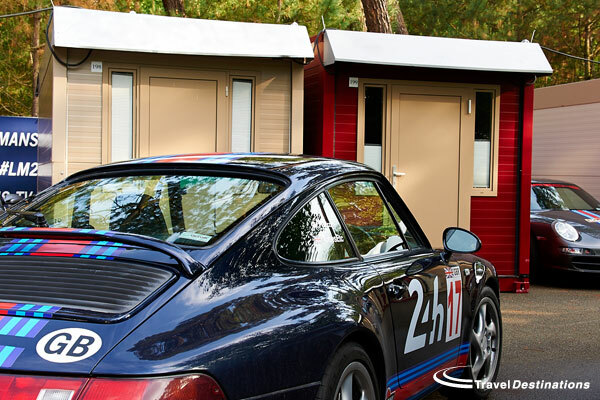 The Travel Destinations private campsite on the Porsche Curves has always set the benchmark for camping at Le Mans. Positioned track-side, our campsite is unique at Le Mans in having its own private viewing bank overlooking the Porsche Curves. The campsite is open from Wednesday before the race until the Monday after the race & benefits from 24 hours security during this time. All guests will be welcomed by our campsite team and shown to their reserved pitch. The campsite has fully serviced showers and toilets and has a large hospitality marquee where food and drinks maybe purchased over the weekend. The marquee has large screen TVs showing the race and other sporting events live over the weekend so you won’t miss a thing at Le Mans 2018. 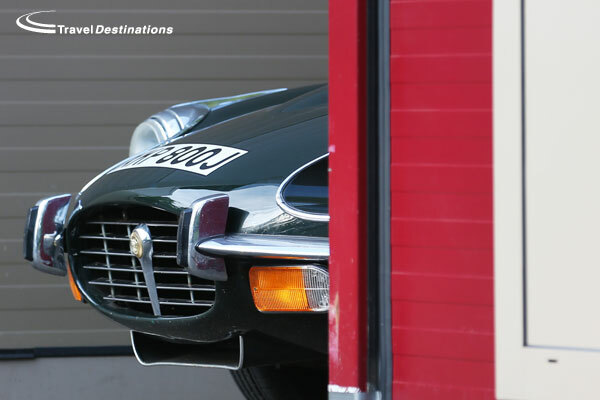 Just a stone’s throw away from Porsche Curves are our Travel Destinations Event Tents. 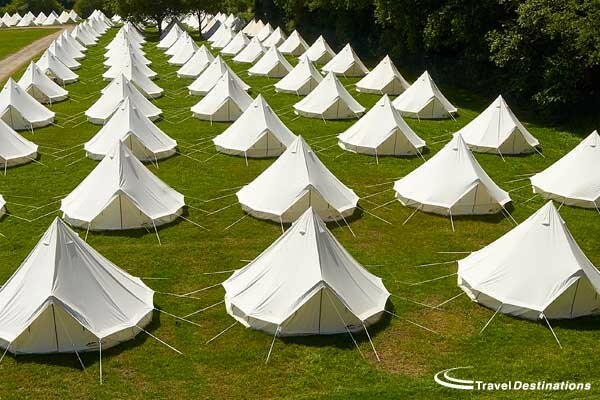 Commonly described as our glamping option, this area is dedicated to large pre-erected tents. Each tent is 5 metres in diameter and can sleep up to 4 people. The tent comes fully carpeted, with mattresses and all bed linen. The Event Tents are located in their own private secure area, with their own showers & toilets as well as a hospitality marquee. As well as this all guests will also have access to Travel Destinations’ private viewing bank and all the facilities at Porsche Curves. Glamping at Le Mans 2018 has never been so easy. The Travel Destinations Flexotel Village has gone from strength to strength in recent years. This pop-up hotel is perfect for those people who don’t want to camp, but still want to enjoy the convenience and atmosphere of staying in the centre of the circuit for Le Mans 2018. Each bedroom contains two proper beds and all bed linen & towels. In their own secure paddock, just a few minutes’ walk from the start line, the Flexotel Village also has fully serviced shower & toilet blocks, as well as a hospitality marquee serving high quality food and drinks throughout the weekend. For those who wish to upgrade there are also a limited number of Flexotel rooms with ensuite bathrooms available for a supplement. Secure parking is available in the Flexotel Village but it is also convenient for those people arriving train/tram, as the Antares tram stop is just around the corner. Of course, there are also thousands of camping pitches in the ACO circuit run campsites available for Le Mans 2018. Although these areas offer only basic facilities & no security, they are always popular and most areas will sell out. Travel Destinations has the largest allocations of pitches in all circuit run campsites, particularly in the most popular areas of Maison Blanche, Houx and Tertre Rouge. For those looking to secure these campsites we always recommend booking early. Some of the larger campsites, such as Beausejour will have better availability, just because of their scale but for the best channel crossings and times, it is good practice to book early anyway. Grandstand seats and race weekend hospitality are also available and can be added to any of our Le Mans 2018 packages. These are ideal if you would like to get a better view of the action, or just want a different experience. We can highly recommend the hospitality with our partners at Michelin. You can secure all your Le Mans tickets for the Le Mans 24 Hours 2018 now. A deposit at this stage will secure your booking until balances are due 10 weeks before the event. As an ABTA bonded tour operator and an official agent of for Le Mans 2018 you know you can book with Travel Destinations with confidence. The Le Mans Classic also returns in 2018. 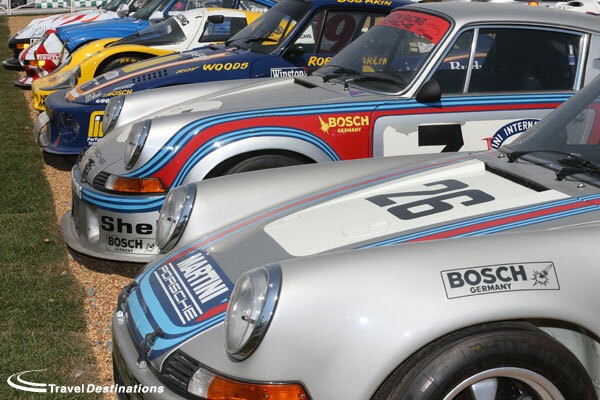 We offer all of our usual offers and more at the Le Mans Classic. You can witness cars from the 1920s right through to the 1980s take to the track that they once called home. 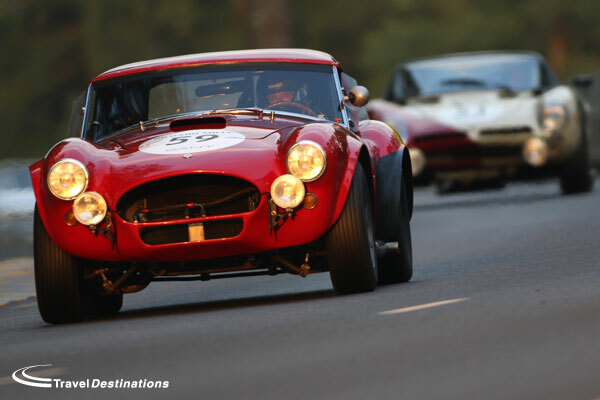 Visit our Le Mans Classic pages on our website to learn more about the event and Le Mans Classic tickets. 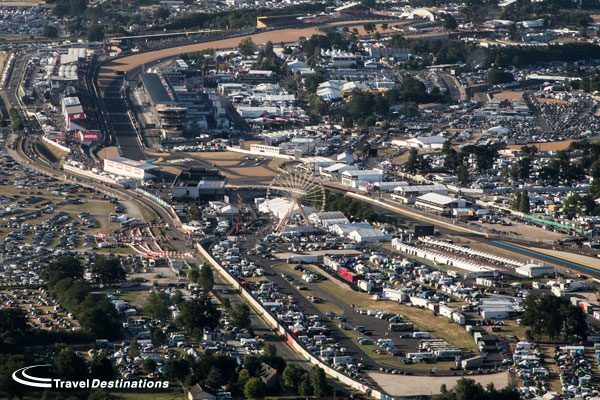 Travel Destinations remain the leaders at Le Mans! We are pleased to confirm that the 9th running of the famous Le Mans Classic will take place from the 6th – 8th July 2018. The Le Mans Classic offers a great motor racing retrospective every two years at the historic Circuit de la Sarthe, in Le Mans, France. The event itself is much anticipated by participants and spectators alike, so booking your place early is highly recommended. 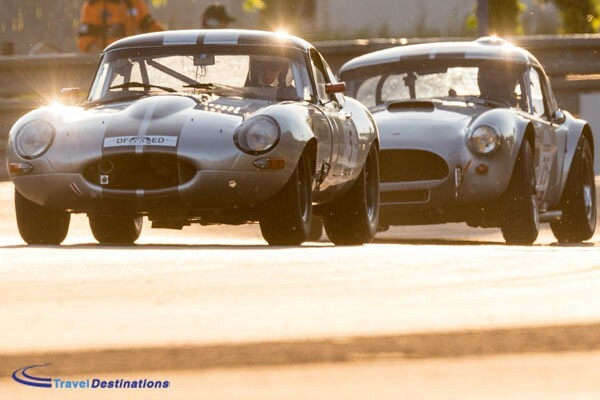 Last July, more than 123,000 spectators made the pilgrimage to Le Mans to witness 550 race cars take to the track as well as an amazing 8500 classic and sports cars from various clubs and organisations gather on the infield. 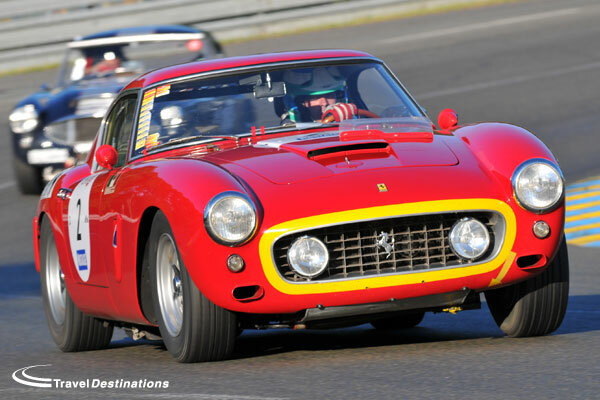 Travel Destinations are official agents for the Le Mans Classic and so are in a privileged position to offer our customers the best choice in travel, Le Mans Classic tickets and accommodation for the Le Mans Classic 2018. Local hotels to Le Mans will be in high demand, however we have a selection available within a few minutes drive to the circuit. 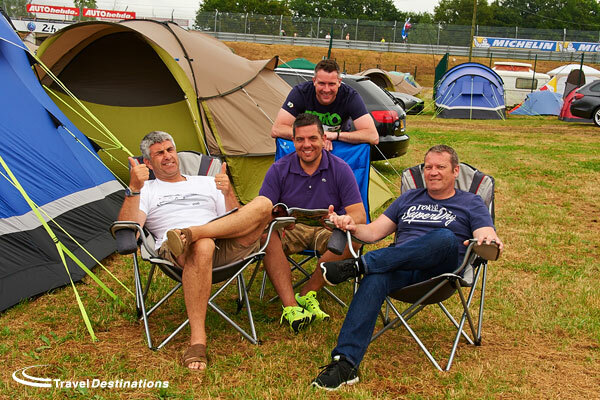 Camping has always been a tradition at Le Mans, so as well as the basic circuit run camping, we have 2 different trackside campsites offering superior facilities and secure parking adjacent to the track. 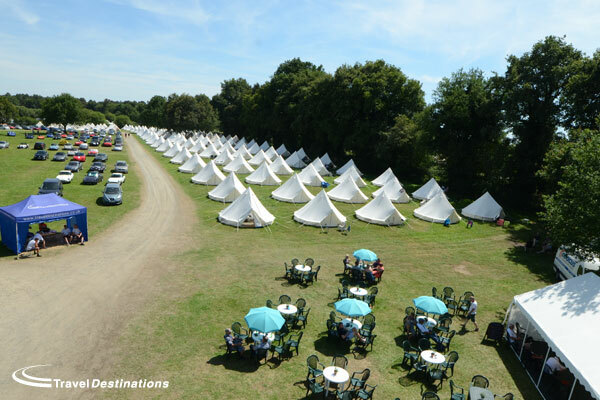 For the Le Mans Classic 2018 Travel Destinations will also be able to offer our Event Tents (Glamping) and our Flexotel Village (pop-up hotel) in the centre of the circuit. These options will enable all guests to enjoy a little more comfort, whilst still staying on the circuit. All these options can include entrance tickets and paddock access, as well as your choice of channel crossings from the UK if required. Options are also available without travel if required, so please enquire at the time of booking. Grandstand seats, circuit laps/track laps and meals can also be added to bookings on request. All available options and further details are now available on this website. All these options are available to book now & can be secured today with a deposit. To learn more and to reserve your place please call our experienced team on 0844 873 0203. We look forward to hearing from you shortly. Camping is a tradition at Le Mans. If you want to experience all that the Le Mans 24 Hours has to offer then staying at the track is the best way to do it. No question. 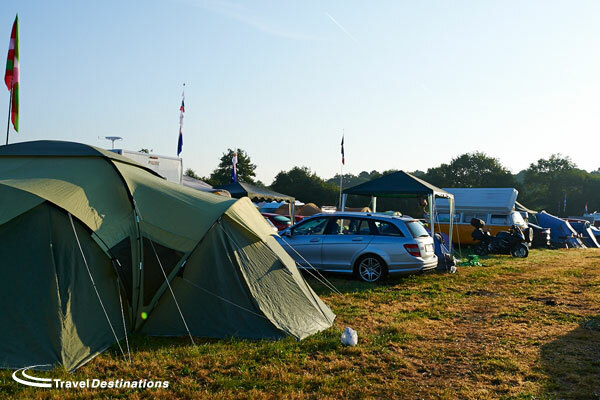 Often camping is a necessity as well, as more than 250,000 spectators descend on Le Mans during Le Mans week and there just aren’t enough rooms to go around. Supply and demand means that any rooms that are available are expensive and are often snapped up by corporate bookings and never go on sale to the general public. So camping it is. 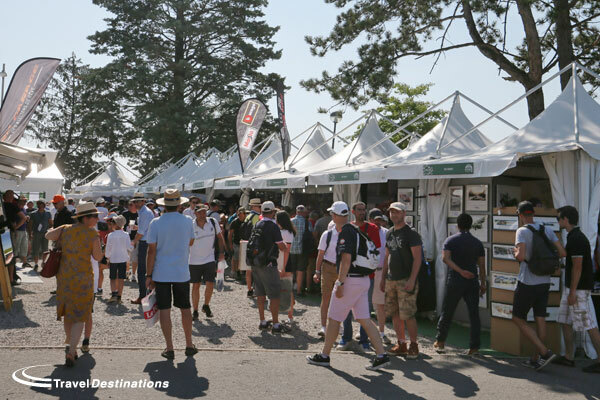 Travel Destinations have many customers that would never camp at any other time of the year, but for Le Mans it is just accepted. But then there are different types of camping available too. So, it is very important to make the right choice of campsite at the circuit. The difficulty is that everyone will have a different opinion depending on their experiences during their stay. At Travel Destinations, we speak to thousands of Le Mans customers every year. Sometimes we will have people in one campsite say it is the best place and rebook again, whilst others in the same campsite will choose a different one for the next year. This is one of the reasons why we speak to every customer, so that we can talk to them, find out their needs and requests and then discuss the best options available. The majority of the camping areas at the track are run by the circuit (the ACO). Thousands of people camp in each area year after year. We describe it as a motor racing Glastonbury, although actually there are twice as many people at Le Mans than the music event. But you can get the idea. The campsites are full of tents and cars. Although there are lots of different areas, there are some things they all have in common. Each camping plot will give a 7 metre by 5 metre area. This will need to accommodate both a vehicle and tents. Each campsite will also provide shower and toilet blocks, but as with any event like this expect them to be very busy at peak times. Each campsite has a name and they are different prices depending on the size and location. As a rule of thumb the closer the campsite is to the start/finish straight the more expensive it will be. There are always exceptions, but that is the general rule. Perhaps the most popular circuit run campsites are Maison Blanche, Houx & Tertre Rouge. Maison Blanche borders the track just before the Ford Chicane. It has been much reduced in recent years with the building of the new Porsche Experience Centre but it remains popular. 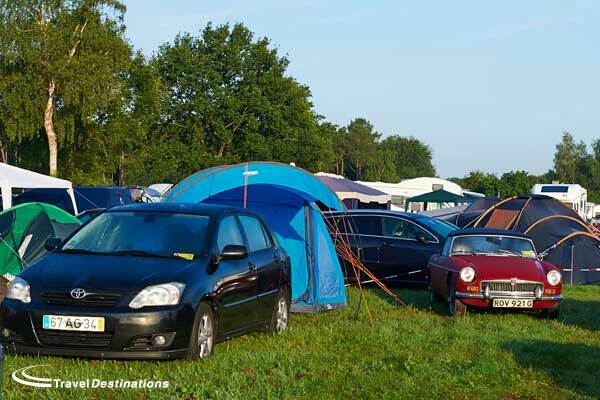 Houx is a larger campsite in the centre of the infield. It is also a short walk to the village and the start line. Perhaps its most notable point is that Houx is the only campsite that offers access to electricity. Tertre Rouge is located adjacent to the track at the northern end of the circuit just beyond the Dunlop Bridge. It is a small campsite that looks down on the track which makes it very popular. Each of these campsites will often sell out a long time in advance of the race. Beyond these three campsites are other areas such as Houx Annexe, Blue Nord & Blue Sud. Although these campsites offer similar facilities to the first three (except electricity) they are a bit further to walk to the village or start line, so therefore they aren’t as expensive. Each of these campsites will give a numbered pitch, so these are popular with campers who may be arriving later in the week as they won’t have to search for a spot. The biggest circuit run campsite is called Beausejour. This campsite is located on the infield, with the closest part of the track being the Porsche Curves. Pitches aren’t numbered so arriving early is recommended if you want to be near the entrance. Even then a walk from the Beausejour campsite to the start line will take about 30 minutes, so bring your walking shoes with you. The campsite as huge with thousands of pitches, so usually this is the last area to sell out. There are two other circuit run campsites that are further away from the start line than Beausejour. 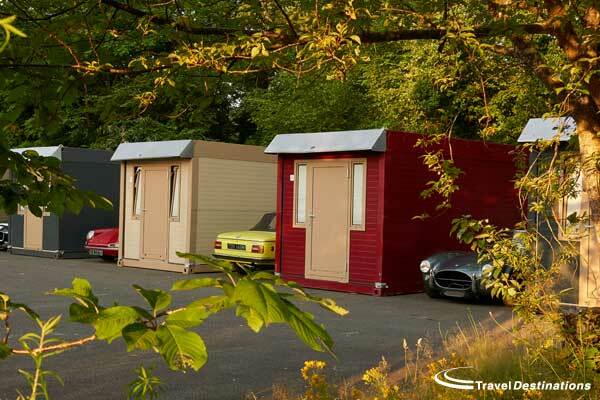 Both Arnage and Mulsanne campsites are located on corners and offer great views. However they are beyond walking distance from the rest of the circuit, so new visitors will need to be careful as they can be quite isolated. These areas can be popular with regular visitors that don’t mind being away from the main areas of the circuit. So far we have only mentioned the circuit run campsites on the track. These are cheap and cheerful, but offer little in the way of facilities and security. However there are alternatives for those people who wish to stay on circuit but would like a bit more for their money. 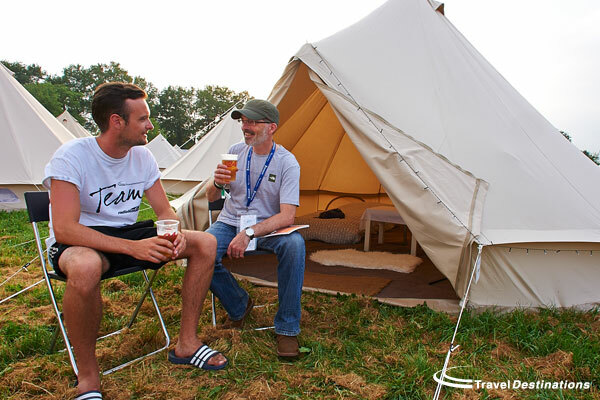 Private campsites will offer a range of extra facilities usually including 24 hours security, private showers & toilets as well as food & drinks on-site. Even then there are differences between what each company can offer. Some private campsites are located within the ACO public areas, but are fenced off to keep them private. Others are located trackside and have no neighbours at all, so it is important to understand exactly what you are buying. Travel Destinations were actually the first company to introduce private camping more than 10 years ago. Our private campsite at the Porsche Curves has increased in area and capacity since then but still offers the extra security, serviced showers and toilets as well as our popular marquee where our bar and food outlet can be found. It is also where we have our TV screens and evening entertainment so it is a real social hub. Our Porsche Curves campsite also has the only private viewing bank at the circuit, so our guests can get a unique view of the race. For those that don’t enjoy camping, Travel Destinations have added Glamping and Flexotels to the on-circuit choices. Glamping is still under canvas, but the large pre-erected tents come with carpet and beds, so you don’t need to have any equipment. Similarly, the Travel Destinations Flexotel Village provides pop-up hotel rooms in the centre of the circuit so that you can return to your own bedroom and a proper bed each night. The height of luxury at Le Mans. By their nature all private areas at the circuit are going to be limited in space and more expensive than the large circuit run campsites, but it is important to note that the private campsites will sell out the quickest, so it is always important to book early. It is unlikely that there is going to be much availability as the race gets closer. • There are lots of options so it is important to do your research or speak to an official agent before you make your booking. • Think about what you want from your experience. Is cost the priority or would you prefer security or luxury? 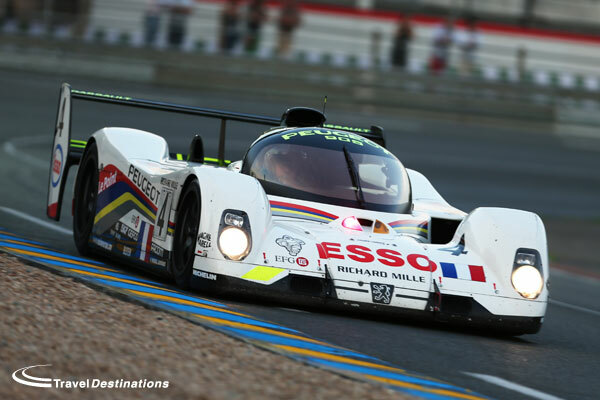 Travel Destinations are the largest UK Tour Operator to Le Mans. Travel Destinations are an Officially appointed agency for Le Mans and are a fully bonded ABTA and ATOL tour operator. All our Le Mans options are available to view on this website or call us now for more details on 0844 873 0203. This article first appeared on Motorsport Magazine online & is the third in a series of guest blogs by Richard about Le Mans. On Sunday at 4pm, the flag came down on the 8th running of Le Mans Classic. This biennial event celebrates the history of the Le Mans 24 Hours and has grown in stature and crowd numbers on each occasion. 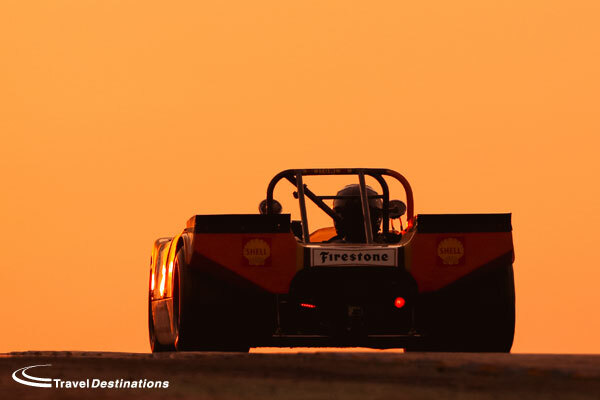 This year’s event was blessed by exceptional weather, as crowds in excess of 123,000 witnessed a full weekend retracing the history of the greatest endurance race in the world over the period 1923 to 1993. 550 cars took to the track, with 1000 drivers, including 10 former Le Mans winners, navigated the circuit in race conditions. In addition to the racing cars, a further 8500 cars represented 180 makes’ clubs assembled to display their vehicles around the Bugatti circuit. Important notice was taken of the celebration of BMW’s centenary and the 50th anniversary of the Ford GT40’s first victory in the Le Mans 24 Hours with appropriate displays. Concourse competitions, the Le Mans Heritage Club, the “Little Big Mans” children’s race, a special exhibition devoted to racing team transporters and a host of other entertainment and activities in the main village meant that all the right ingredients were in place to make this huge celebration of motor sport. Among the innovations this year was the opening of the circuit on Friday morning representing an additional five hours of track time so that more practice session could be scheduled, as well as the Group C races with an entry of almost 40 cars represented. There was also the magnificent field of the Jaguar Classic Challenge with around 60 cars representing the Coventry make. 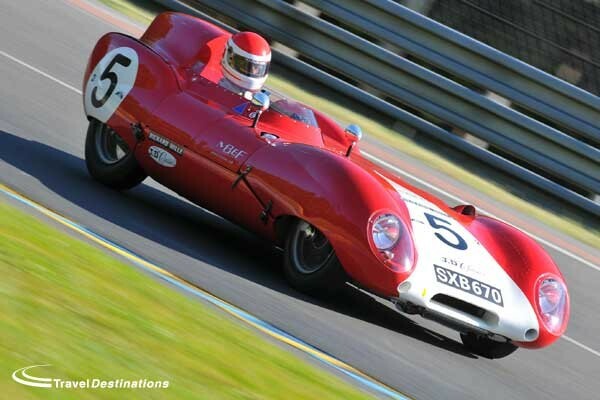 Victory in this event went to British driver Andy Wallace (19 starts in the Le Mans 24 Hours including outright victory in 1988) at the wheel of the Jaguar D-Type that won Le Mans in 1955. At 4pm on Saturday American music star (and motorsport fan) Pharrell Williams waved the French flag to begin the 24hrs of racing around the full 13,629-km circuit. These races were divided in to 6 grids covering the period 1923 to 1981. Each grid took to the circuit in day and night across the Saturday and Sunday. 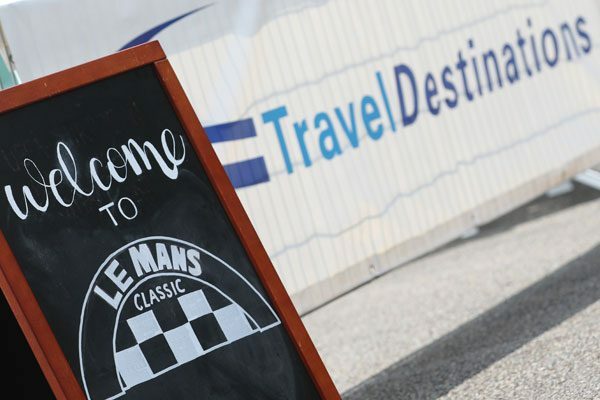 Travel Destinations are official agents for the Le Mans Classic and are proud to have been involved in the Le Mans Classic since its inception in 2002. This year travel Destinations looked after guests from many different car clubs including the MG Owners’ Club, Morgan Sports Car Club, Jaguar Enthusiasts’ club and the TR Register. 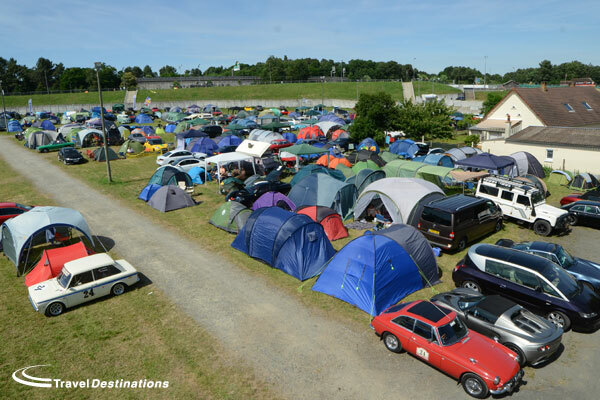 With 2 private trackside campsites, a further “glamping” site and our Flexotel Village (pop-up hotel) all on the circuit, Travel Destinations also looked after more guests on the circuit than ever at the Le Mans Classic. We extend a big thank you to all those who booked through Travel Destinations & we hope that you can join us again soon. The 8th Le Mans Classic consolidated the success of the previous events thanks to the attendance of its faithful fans and the beautiful weather. 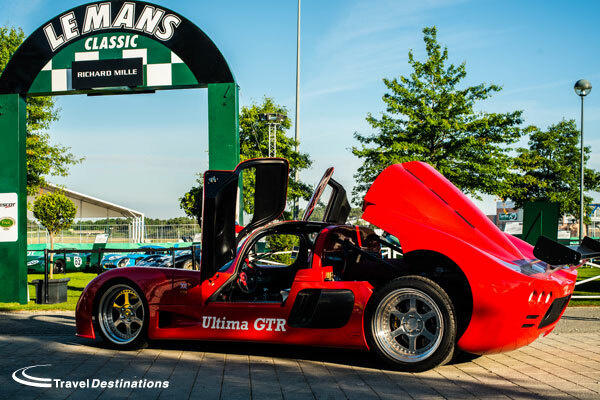 The good news is that the Le Mans Classic will return in 2018 for the 9th edition, but for those that can’t wait that long for your historic motorsport fix, perhaps you might like to join Travel Destinations at the Spa Classic in May 2017.